If you've read every last word here on this website--and bless you if you have--you'll probably be familiar with this week's 38th episode of The Fred Hembeck Show, as it's a re-purposed Classic Cover Redo piece concerning AMAZING SPIDER-MAN #25--y'know, the one where J. Jonah Jameson commandeers a robot to attack good ol' Spidey? Yeah, THAT one. Go read it if you haven't already, and even if you have, check out the additional scans I tossed in for the benefit of the IGN audience! That master of the holiday music mix, Ken Plume, always has some swell suggestions on how to spend your money. Check out this week's guide, which is especially pertinent as December 25th creeps ever closer. And whatever you do, friends, please make sure to have yourselves a Kung Fu Christmas!.. It's Saturday, which means--yup--the results from yesterday's Five For Friday poll are in. The topic this week? "Feta Pilaf--wasn't that the name of an Arabian stripper?..." To which, much to my surprise, she burst out laughing hysterically! After a few seconds of this, she nearly began to choke on the food she had in her mouth at the time I delivered my little quip, but luckily, no emergency procedures were necessary. But she wouldn't stop laughing, and soon she had me going as well. All the while, Lynn sat there stone-faced, which somehow made things even funnier! Eventually, we both regained our composure. I hadn't thought it THAT good of a gag, but sometimes, you just never know how people are going to react. Julie complimented me, saying it was one of the best jokes she'd ever heard me tell (geez, I hope not...), and that while she would, in the past, generally laugh at my lamer gags, THIS one had spoiled her, as she'll expect nothing but A material from me in the future. Lynn? Well, nothing new here--to her, it was just more silly word play (she's been around me for quite a while, remember--though I DID mange to make her laugh several times while Julie was at her Gran's, using my, ahem, more sophisticated approach...). But it still made for a memorable homecoming for Julie. I'm just glad she didn't choke to death laughing. May you all have a safe and happy holiday, with a plentiful bounty to feast upon! And I'm sure, given the chance, those very sentiments would be echoed by Bikini Bottom's own SpongeBob SquarePants, as well as by his many friends and associates: Patrick, Sandy, Mr. Krabb, Mrs. Puff, Plankton, Mermaidman, Barnacleboy, and of course, the NEWEST member of the gang, Peter Sanderson! And Sleestak? After seeing this photo, I surrender. I mean, how's a guy like me supposed to compete with THAT? I just hope the two of you are very happy together. (Dirty stinking space aliens, always stealing our wimmen-folk...)..
No, really. Go look if you don't believe me. There's more if you can stand it. The site is called Frankentoons, and I found it thanks to K. Thor Jensen's choice of Portal of Evil on the last Five For Friday listing. GREAT choice, K, as a veritable treasure trove of oddball site links lurk within! And speaking of that Five For Friday posting, I received a very gracious email from the fellow who presides over Lady, That's My Skull for including his site in my own listing. In the course of his message, the man previously known only to myself and the rest of the internet as "Sleestak" casually reveals his TRUE identity--meaning I now have him EXACTLY where I want him! HAH! My plan worked to perfection! Unless, y'know, there really ARE two of her, like in that "Parent Trap" movie. That would solve our numbers problem right there, and we could be buds again. Yeah, that'd be swell--y'know, this sure looks like the beginning of a beautiful friendship, D--er, "Sleestak"!.. Speaking of links, check out this week's Oddball Comics entry, as Scott Shaw examines an obscure comic drawn by the great Al Wiseman. And Will Pfiefer now has audio of the Jerry Lewis debacle I linked to the other day. Great stuff, but I kept listening for a burst of "Hey laaaaaady!" and never quite heard it. Oh well, maybe next time..
My current blogging malaise continues. I'm surprised how easy it is to fall out of the habit. Bear with me--there'll be some goodies arriving in the future, promise. In the meantime, enjoy these meager morsels as best you can. More sketchbook characters, friends. These hail from roundabouts 2001, and if you go here, you can see six whole pages of the li'l critters, all scanned in on one page (scroll down, dudes). I cobbled up an actual sample single page strip using these designs not long before I launched this very website, but sad to say, it never went anywhere. Hmm--I sorta like these funky folks, so maybe I'll try again sometime soon. Or, maybe not. Watch this space. Meanwhile, let me direct you over to Will Pfiefer's blog. Ever wonder what might happen if you set out to attend a Jerry Lewis Love-In, only to see it degenerate into a Lewis Hate-fest right before your eyes? Well, Will'll give you ALL the details, as he had the luck (both good AND bad) to witness such an epic event. The way he describes it, it sounds sorta like an issue of the funnyman's old DC Comics series that started out being drawn by Bob Oksner, but was finished up by Graham Ingels!! 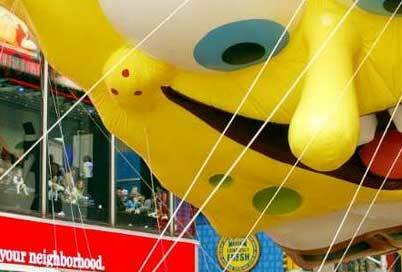 Yes, it's ghastly fun--don't miss it! It's super-villain month over at IGN Comics, so the 36th episode of The Fred Hembeck Show is devoted--mostly--to some questionable fashion choices made by a few big-time baddies. Go look. One her favorite current bands is a group called The Shins (I actually like them quite a bit myself, but that's neither here nor there. Okay--back to the funny...). "Hey, Julie--I just heard that a band that's been around since back in the early seventies is gonna open for these guys when they go out on tour soon." "Oh yeah?" she says, mildly interested. "Uh huh. Little Feat is gonna support The Shins!" To which she replied, "Huh?" ---and why wouldn't she? She doesn't know Lowell George from George Bush. Funny thing about this week's communal Five for Friday listings over at Tom Spurgeon's The Comics Reporter. Not only did I contribute my own choices this time around, but when I went back to check out what other folks had come up with, I was somewhat surprised to find my own name on a handful of those very lists! Not totally, though, given the topic. 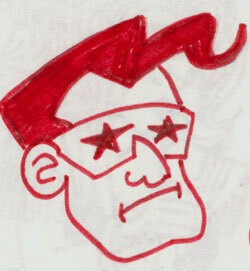 The topic was "Trademarks-- Name Five Creators and a Signature Stylization"
Yeah, right--the squiggles. Easy call, huh? The malevolent lifeforce known as SUPERFRANKENSTEIN has begun their second year on the Web in stunning fashion, offering up yet another in their celebrated series of news items as explained by vintage comic book covers. What makes this edition particularly laudatory in my eyes is that this time only Silver Age Archie titles were used, a course of action I suggested--nay, CHALLENGED--them to take in a recent previously classified communique, one delivered directly to their top-secret headquarters (i.e., I sent Tom an email). 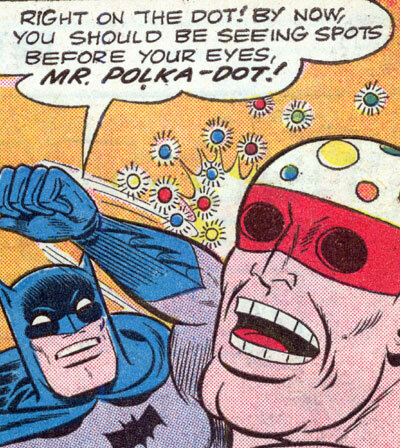 That's the Bizarre Polka-Dot Man aka Mr. Polka-Dot aka The Lamest Super-Villain EVER, and you can read all about him in the 35th dizzying episode of The Fred Hembeck Show! 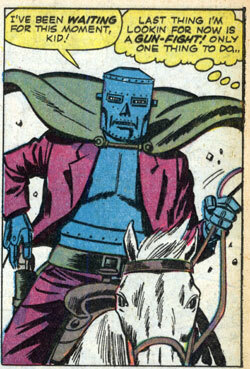 Big congrats to the corps of schizoid androids who assemble the strangely fascinating SUPERFRANKENSTEIN blog each day. Overlord Peyer must be immensely proud of his mindless charges for successfully reaching the one year mark! Here's to at least one more (after that, we'll just have to see...)! Remember THAT cover, Batfans? Bingo, it's Mingo--Norman, that is, MAD cover painter extraordinaire! 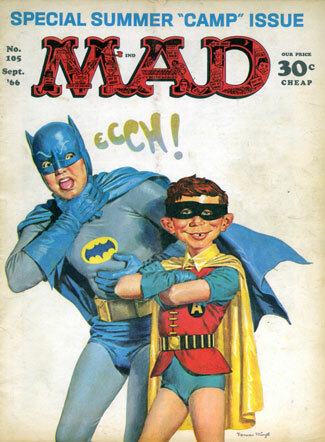 Issued in the wake of the overwhelming success of that dreadful Adam West television show, those of us who bought the issue off the stands have fond memories of the rightful evisceration the usual gang of idiots gave their unusually diotic subject matter. But that's not why I'm running it here. I briefly toyed with the notion of posting this as a full-fledged Classic Cover Redo entry, but thought better of it. After all, it's just a long-forgotten drawing in an old sketchbook, one I stumbled across after cleaning up from our recently flooded basement. Done over twenty years ago, it's yet another example of Hembeck pencils and Moss inks. This illo has never before seen the light of day--apparently, I've been unconsciously saving it in reserve for just the right moment. One note: while compiling the aforementioned list, I came upon a piece by a Mr. Steven Wintle concerning yours truly. Some of the nice things he says about me are true, but ALL of the not-so-nice things he mentioned definitely are, so let this be a warning fella--watch yer step! Okay, so I love Halloween--so sue me! Okay, I told you about our family's visit to the IBM Haunted House on Thursday evening, right? Well, the next tenuously associated event took place Saturday night when Julie was invited to a movie party thrown by some of her friends from school. Among the treats lensed that night was that Halloween perennial, "Hedwig and the Angry Inch". Julie didn't sleep over, though, since the next morning, bright and early (like at 8:30, which is daunting even with an an extra hour of sleep, thanks to the time switch), it was time for the small, local horse show she participates in each year to be held. Luckily, the weather turned extremely mild that day (and continued that way on into Halloween night), so the four hours outside wasn't as much of a chore as it might've been, particularly for us spectators. Not to begrudge the kid her fun, but it was gonna be awful strange spending Halloween without her. I've been involved--usually big-time--every year since she was three each October 31st. Lynn tried that first time out, but her bad knee just made keeping up with us at a decent pace nigh impossible, so after hiking about a block during Julie's initial trek on the Trick or Treat trail back when we lived in Kingston, mom bowed out for good. Luckily, the whole thing didn't mean as much to Lynn as it does to me, so she was happy to let me spearhead all of the following annual expeditions. It rained that first Halloween, but never since--and in fact, most every subsequent final October evening has been unseasonably mild, or at worst, never overly chilly. A brief history then: ages three, four, and five, Julie and I went around the city of Kingston, coming in at the absurdly early curfew hour of seven. After moving to the more suburban Wappingers Falls, we roamed the streets the first two years alone (even getting a bit lost the first time out, as there were no street lights around these parts as there were in Kingston--toldja I didn't know where I was going!...). Our hours generally ran from starting out just before six, finishing up as near to nine as possible. First ones out, last ones in--THAT was our credo, and we were proud of it!.. Then, over the next four years--ages eight through eleven--we teamed up with the two sisters (both younger than Julie) who had only recently moved in next door, Christina and Elizabeth, and their mom, Jeanie. In 2001, one of the Christina's friends joined us, Celeste. That, sadly, was to be my last year out on the streets. Yes, I was disappointed, but I realized Julie was growing up--she was eleven, and MY parents certainly weren't going out with ME at that age--and didn't need her dad going door to door trolling for candy with her any longer. Unfortunately. 2002 saw her on her own with long-time school chum, Deanna, but real excitement returned to the holiday the next two years when Julie organized a burgeoning group of girl ghoulies, naturally using our house as their starting point, mid-way stop-over, and finishing line. It was a veritable flurry of costumed activity as Halloween 2003 saw Julie, Deanna, Jesse, Courtney, Caitlin, Lisa and Samantha embark on the evening's quest after first duding themselves up properly here at Moss Manse. Caitlin had since moved away, and Courtney wasn't available, but otherwise, the same group went out together last year. Overall, it wasn't quite the same as going out with the kids myself, true, but just being in proximity of all that Halloween energy was enough of a rush to feed my All Hallow's hunger. But this year, nothing. Julie wasn't even coming home after school the way things were working out. I wouldn't see her again until the night was essentially over. Well, at least the initial plans this new little group had to go to NYC to attend a rock concert that evening were never actually acted upon--I kept telling Julie, you can see a concert ANY time, but Halloween comes but once a year! She's fifteen now, so yeah, she acted all "so what?" to my protestations, and initially indicated that her little get-together would be just that-- a get-together. Nothing holiday related. But when it finally came down to it, her and her friends DID wind up doing a couple of hours Trick or Treating (yup--in that same well-worn cape! ), which somehow managed to make me happy, even I wasn't there to witness it! She had, I'm delighted to say, a swell time, exploring new environments, making new bonds. 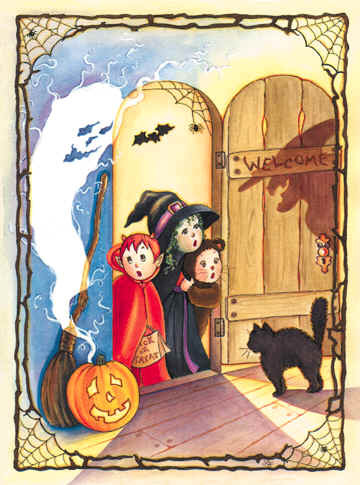 As for me, well, I got to stay home and hand out candy instead--hey, how bad could that be? Well, THAT went on far longer than expected. On then to a few other things. Such as, "Happy Belated Birthday, Steve Ditko!!" Considering the guy is my all-time favorite cartoonist, I'm somewhat embarrassed that I missed marking the day yesterday. However, I doubt I've offended the man, as odds are he isn't a regular reader of this site--and even if he is, he probably bailed (like all too many of you) midway through my above ode to the glories of Halloween! Well, whether you're still with me or not, Steve, here's wishing you many more! Gotta come to the defense of my Marx brethren here...that pic has appeared in other Marx books/articles, and I'm pretty sure they say the others were visiting Chico backstage at one of his solo performances, hence the make-up. Lastly, I'd like to take a moment to point something out to you folks--I've posted something here on this site (if not always in this blog) EVERY DAY SINCE OCTOBER 21 OF 2004!! That's over a year, people. Fact is, LAST November 3rd, the day after the Presidential election, I simply posted one word--albeit in a bold, red typeface: "Noooooooo!!!!" A year later, I continue to stand by that sentiment, but the point I'm making here is that while one COULD possibly interpret that entry as a bit of a cheat, posting wise, still, today, on THIS November 3rd, I can confidently claim that I did indeed post something on Hembeck.com without missing a single day for at least entire year! So what do I plan to do NOW? Look, I did it. I'm proud. And so, I want off this runaway merry-go-round--NOW!! Not that I couldn't keep it going, mind you--I could. But its become too much of a compulsion, and it's been getting in the way of other things I want to do. Such as artwork. Lots and lots of artwork. I have a bunch of commissions I need to finish, and these poor folks have waited long enough (you know who you are! If you've paid me for something before today, I pledge to get it to you by this Christmas-- barring another flood or the bird flu--promise!!). There's other stuff I want to draw as well, as well as to write. Even other stuff for THIS site, too much of which has been ignored in favor of feeding this blog on a daily basis. There are longer pieces I want to cobble together for those unjustly neglected sections, and I plan to do so in the very near future--Classic Cover Redos, Life Story anecdotes, and a whole LOT of Beatles stuff needs to be said before the end of the year. Even though we have a New On Site section (which I continue to use), I realize that I've trained my faithful readers to come here to the blog first, so be assured that any future additions to the site will also be noted in Fred Sez for your web-surfing convenience. The blog itself will continue, natch--and if you want to show your appreciation for this year's past Herculean efforts, fell free to leave a tip, or buy some of the artwork available in the sales gallery. Anybody sending twenty bucks or more will get an autographed copy of a water-damaged edition of one of my old Fantaco HEMBECK books--signed with a water-proof pen, natch! 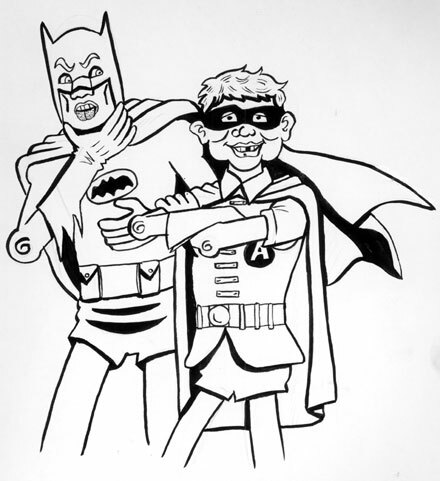 Kid Colt's bombastically bolted baddie, Iron Mask, meets the similarly encased Dr. Doom in the 34th episode of The Fred Hembeck Show, now posted over at the IGN Comics website. Featuring a never before scanned Dateline:@#$! strip from 2000, this otherwise worthwhile entry was a last minute substitute for the one originally sabotaged by that unfortunate event we had downstairs a few weeks back. I had planned to finally finish it over the past weekend, but instead got hit the nastiest cold I've had to endure in quite awhile, and as a result, my concentration was way diminished (yes, even moreso than usual, obligatory wise guy!...). That final Monster Month essay will arrive eventually--promise (honest, Batton!). I was saddened to read of the passing of Bob White, whose artwork we spotlighted here twice last month (on the 29th and the 16th). His tenure on the book-length tales published in LIFE WITH ARCHIE were particularly noteworthy, taking the Riverdale gang and regularly throwing them into new and different environments, and making it all somehow convincing. I recall Bob Bolling speaking VERY highly of him on one of the few occasions when I was lucky enough to talk with the LITTLE ARCHIE creator, and while I never quite considered him up there with Bolling, Dan DeCarlo, Samm Schwartz, or Harry Lucey, Bob White clearly was a talented cartoonist, and he'll be missed. Best of luck to Dorian Wright! He may have left the ever thrilling realm of funny book retailing, but at least his PostmodernBarney blog remains up and running! Selfishly, I consider that great news, as it's long been one of my favorites. But I STILL think the Mothman is real, Dorian! 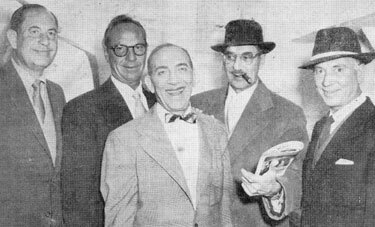 Back in August (starting on the 15th), there was some small discussion here on the blog concerning the Marx Brothers, specifically of the largely unknown Gummo. Well, in the course of cleaning up after our recent flood, I found the above photo, clipped out of a late sixties/early seventies newspaper, tucked into my copy of Richard J. Anobile's "Why A Duck?" (which sustained a bit of only comparatively minor water damage, thank goodness).